Welcome back to another fun week of Mom's Library. Mom's Library is a linky party that I cohost with TrueAim and a group of bloggers every Tuesday. Stop in to share your best resources for mom, including activities for kids, mom tips, recipes, and more! Each week we also offer a giveaway on Mom's Library! Be sure to subscribe so you don't miss the next Library! Follow the Mom's Library Pinterest Board to see all of our featured posts. Last week on Mom's Library there were tons and tons of wonderful fall activities for kids. 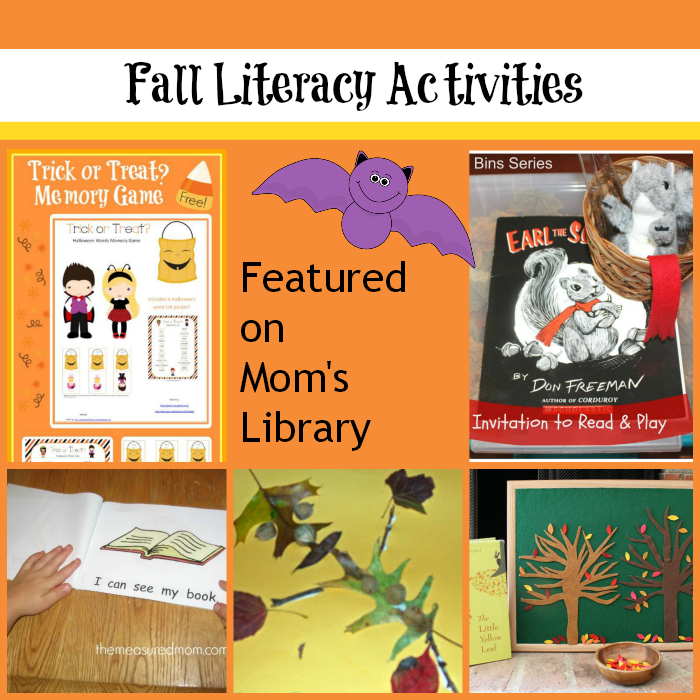 I decided to focus on Fall Literacy Activities for Kids. There are free printables, wonderful books, and activities and crafts to accompany the books. 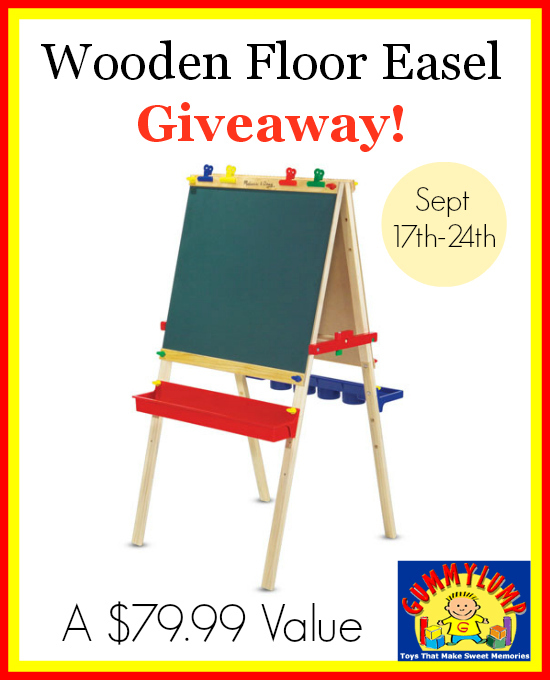 This week you have the opportunity to win a Melissa and Doug Art Easel. The Melissa and Doug Art Easel makes a perfect gift for any child! Thanks to Gummy Lump we are giving you a chance to win one! The wooden art easel features a chalkboard, dry erase board, and paper roll holder. It also folds up for easy storage. Your little artist will be creating for hours!